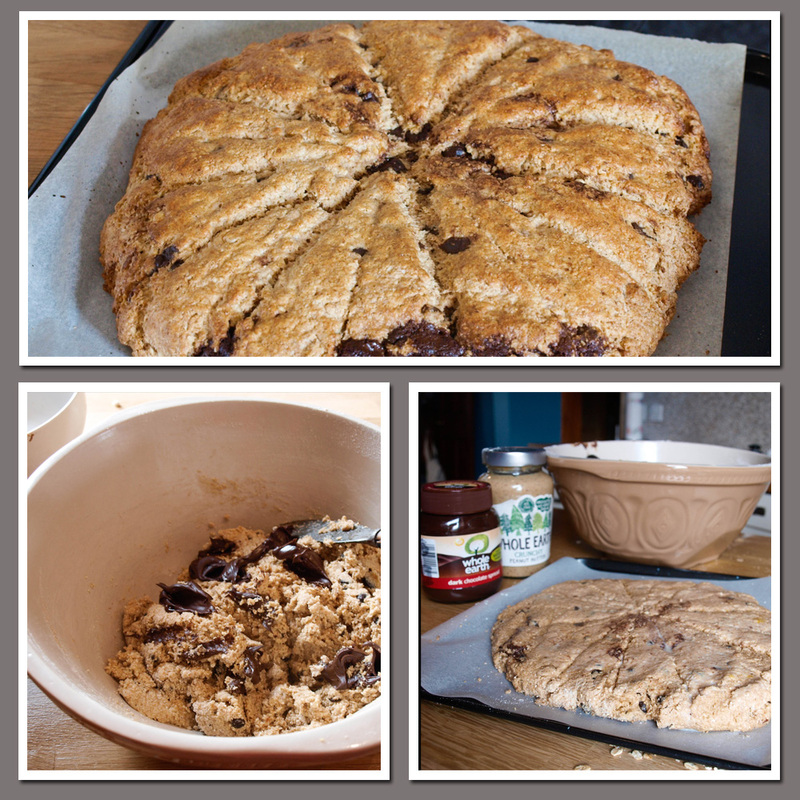 I love love love a big cake scone... The Viking calls this 'big scone' and makes me make them for him because he feels these are like one scone, so not as bad as four or five regular scones... bless. Yours looks gorgeous. Adore the chocolate peanut butter combo of course! I'm so glad your dry rot adventures are nearly over Janice as I'm very sure you are too. 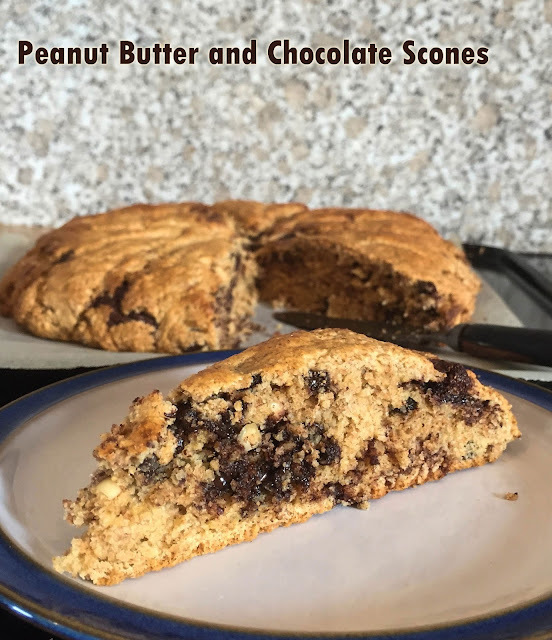 Love, love , love the idea of peanut butter in scones - the chocolate goes without saying of course.